Adult citricola scales are lining up on the twigs. Their eggs are hatching this month and crawlers are moving about on the twigs and settling on the leaves. Adults are hard to kill with insecticides and the eggs under their bodies are protected from insecticides. 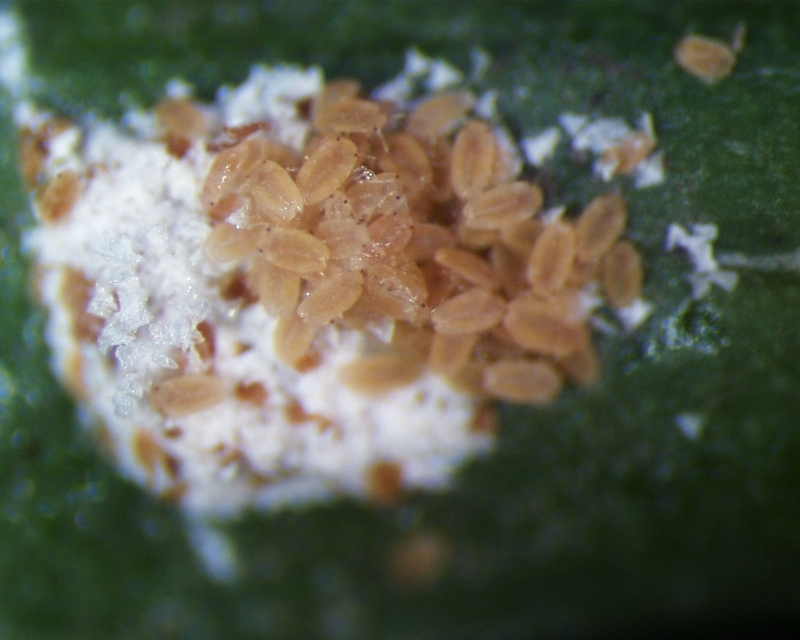 If you wait till all the eggs hatch and the crawlers move out onto the leaves, the insecticides will work better. Usually egg hatch finishes towards the end of July. You can check this by flipping over the female scales and looking to see if there are fresh eggs. Cool wet springs favor egg hatch and survival of citricola scale, so be on your guard this spring. See the Citrus IPM Guidelines for Citricola scale for information on treatments. 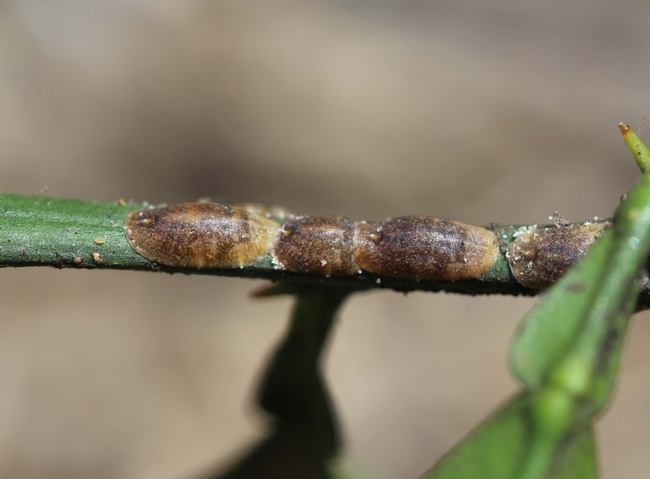 A new citricola scale-effective insecticide that will soon be added to the guidelines is Sivanto (flupyradifurone). I haven't heard of it being that far north. Perhaps some other blog watchers could reply as to what they have seen? 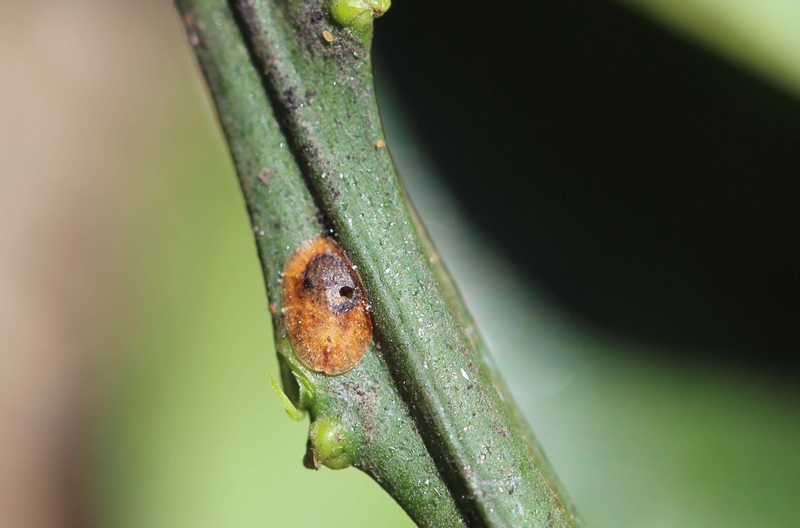 Its not too hard to watch for - honeydew and sooty mold in the spring and the large females on the twigs.